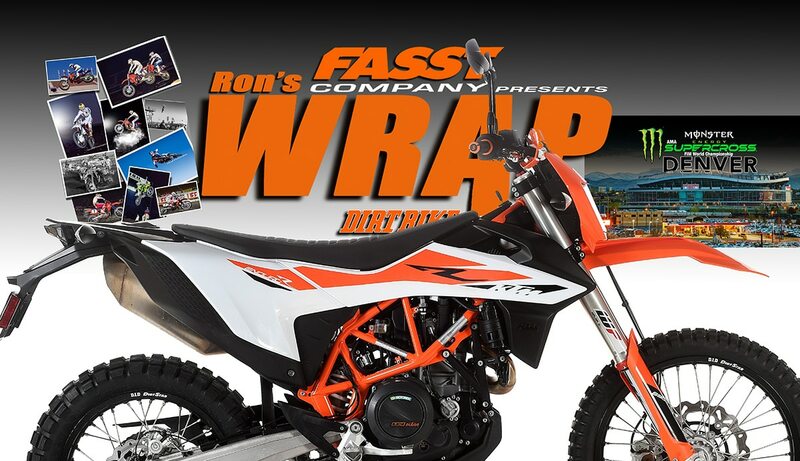 For this week’s Friday Wrap Up, the 2019 KTM 690 Enduro R is centerstage. We only have one day on the bike, but that’s enough to leave us in awe. This is still the most powerful single-cylinder motorcycle we know of. The bike exists in a gray area between hard-core dual-sport bikes and big adventure bikes. It’s powerful, comfortable and and has a number of street-bike features like a jumbo ADV bike, but its layout, suspension and handling allow it to go on rides with full-time dirt bikes. 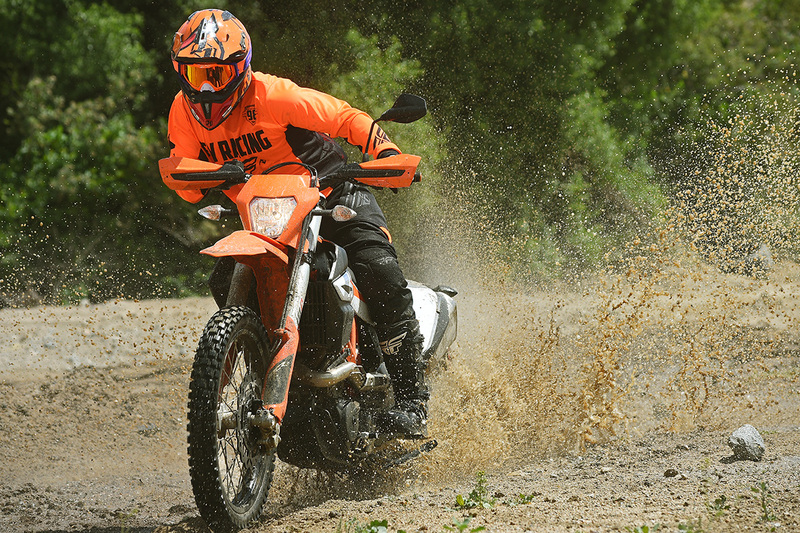 The KTM 690 Enduro R was redesigned for 2019. For 2019, the bike got a redesign. The frame, bodywork and suspension are new and the engine is updated. 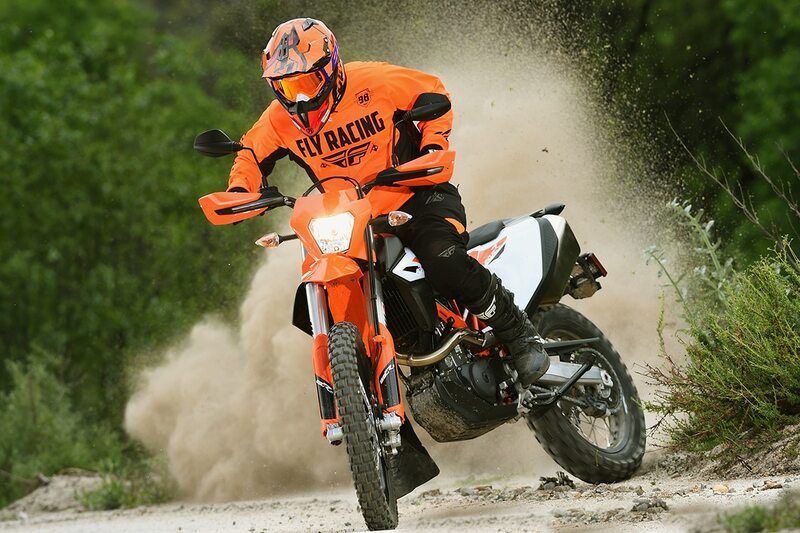 Like many of the machines in the adventure bike world, it has a big collection of electronic features. The throttle cable is gone, it has cornering antilock braking and lean-angle sensitive traction control, not to be confused with the traction control used on KTM motocross bikes, which is a completely different system. It also has a quickshifter system, which mean you can upshift easily without the clutch. To disable ABS, you can plug in an electronic dongle. The frame is new, but not dramatically different from that of the previous 690. It’s still a trellis design, but the geometry has been tightened up, the flex characteristics have changed and (thankfully) it has more steering lock. The new plastic includes a new tank, which has increased fuel capacity (now 3.6 gallons). The motor is the star of the show in this bike. It has dual balancer shafts, a slipper clutch and a six-speed gearbox. Did I say it’s fast? the torque is unreal! When there’s traction, it pulls like crazy from way down low. If the rear wheel spins, the traction control kicks in and steals horsepower. This isn’t like the traction control that’s common on street bikes, where the motor suddenly starts missing and hesitating–it’s more like the bike were suddenly upshifted two gears. If you don’t want traction control, that’s understandable. KTM gives you a button to disable it. The bike’s dirt capabilities are limited by its weight. 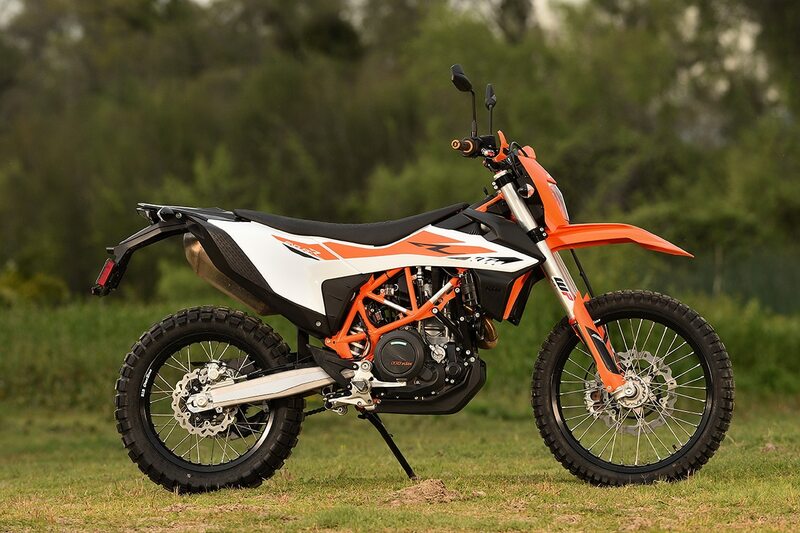 KTM claims it is 320 pounds without fuel. 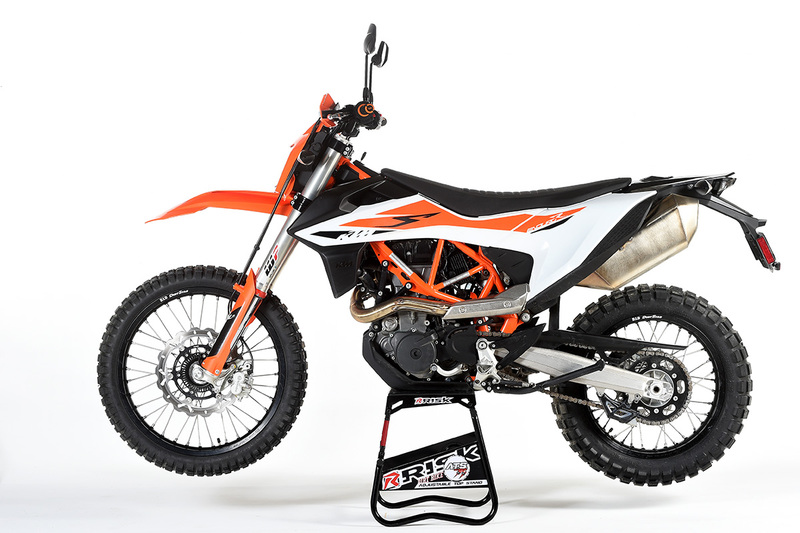 That exceeds the capacity of the fabulous Dirt Bike scale, but that seems like a realistic figure and KTM has been shockingly honest about all its advertised weight numbers recently. 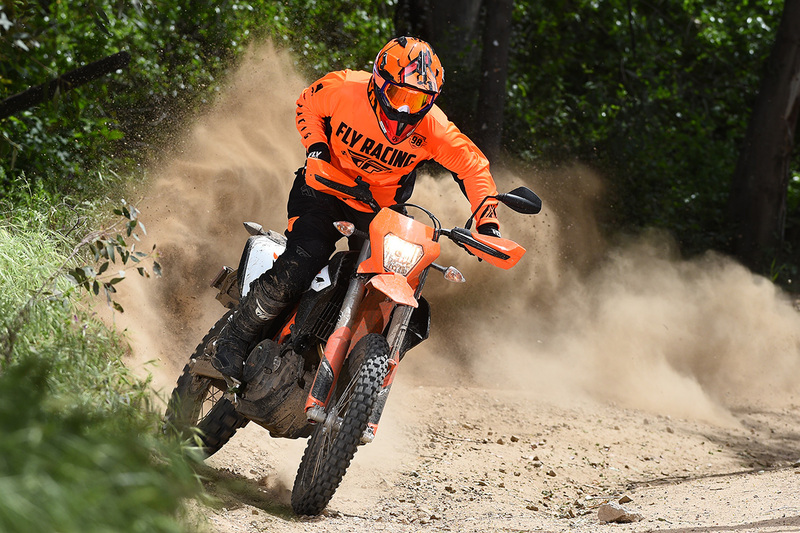 The bike’s mass is similar to an old-school Honda XR650L, but the KTM has twice as much power. Literally. So it can go just about any place a full-time dirt bike can go, but you have to use your head. You don’t want to fail on a hillclimb attempt, and you don’t want to dig it out of a mud bog. It’s just too much bike. KTM has a video explaining some of the electronic features of this bike and the SMC version. They won’t let us keep this bike for long, but we have a number of rides in mind. This would be a perfect bike for a Mexico trip or a BDR adventure. There’s even been talk of racing it in the Virginia City GP on April 27. 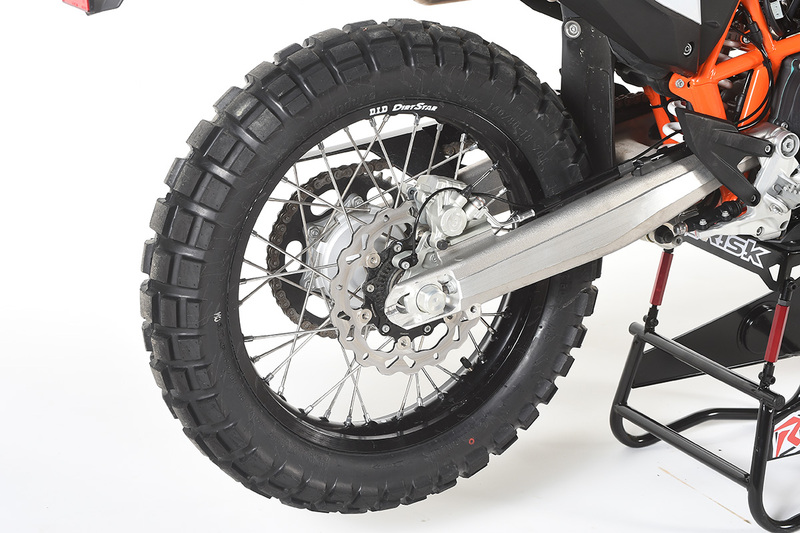 The full test will appear in the July, 2019 print edition of Dirt Bike. Ivan Tedesco was out at Glen Helen last Thursday, helping the Pro Circuit team work out its outdoor settings for the upcoming Lucas Oil National Championship. 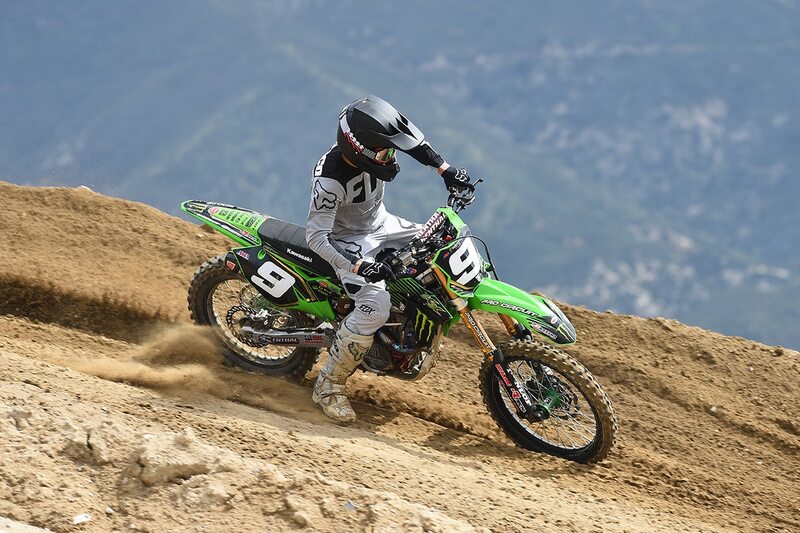 In preparation for the Pro Riders to get their test riding in before the Outdoor MX Season starts, Glen Helen will host a Pro Only Practice 10am-12pm on all Thursday Practices starting April 11 – May 30. Regular open practice will be available 9am-10am & 1pm-Dusk for all other riders. 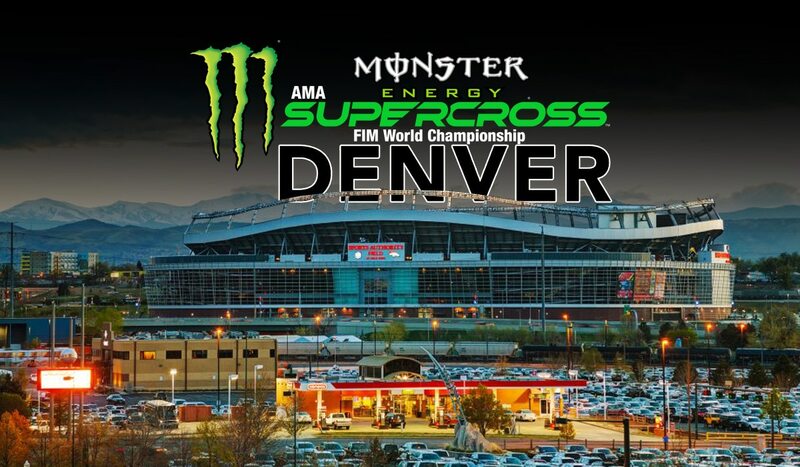 The Vet, Staduimcross and peewee tracks will be open normal hours on Thursday. All tracks will be prepped and watered for practice days. For more information call 909-880-3090. Destry Abbott is a busy man! He has a number of events coming up including a Woman’s riding clinic on April 27th. You can make it a family event! On Sunday, April 28th he’s at Arizona Cycle Park and on May 3rd he has a clinic in Reno, Nevada. 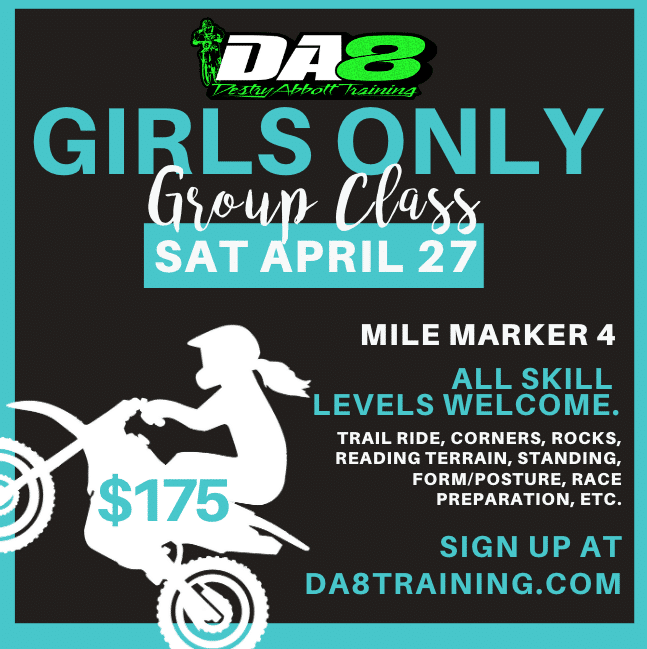 You can register at DA8training.com. 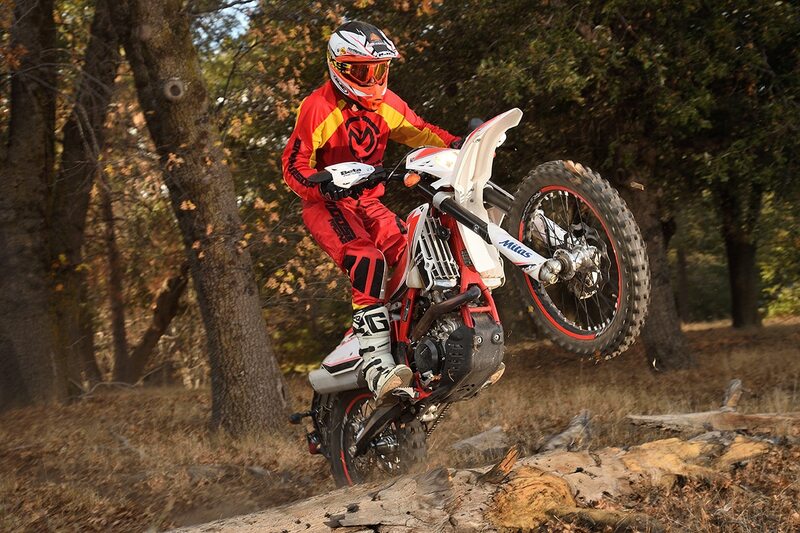 American Motorcyclist Association member Matteo Mercurio, of Murrieta, CA won a 2019 Beta 500RR-S motorcycle, thanks to his participation in the Big Bear Run, a stop on the 2018 Beta AMA National Dual Sport Series, hosted by Big Bear Trail Riders. 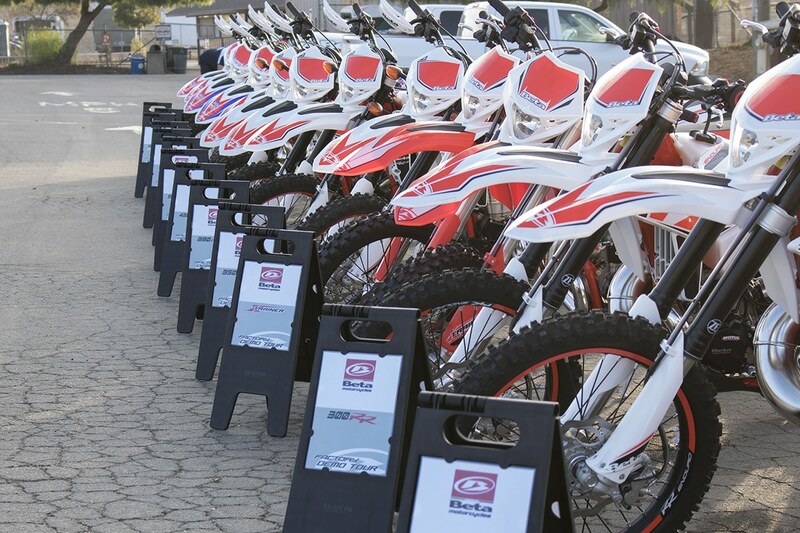 Thanks to sponsors of the Beta AMA National Dual Sport Series, participants who rode at any of the events in the 2018 series were entered automatically to win prizes from Beta, IMS Products, Kenda and Seat Concepts. Beta is also putting a great deal of effort into its demo tours. You just show up and they let you ride one of their brand-new bikes. How cool is that? They have a few spots available at the next stop on the tour. To sign up for a Beta Demo Tour, click here. Have you ever grabbed a holeshot in the Pro class at a National Grand Prix Championship race? Neither have I. Blayne Thompson has. He did it again last weekend at 29 Palms, and this is what it looked like. His teammate Zach Bell spoils the fun around minute 2. In case you missed it last week, here’s a recap of round 4 of the MXGP of Italy. 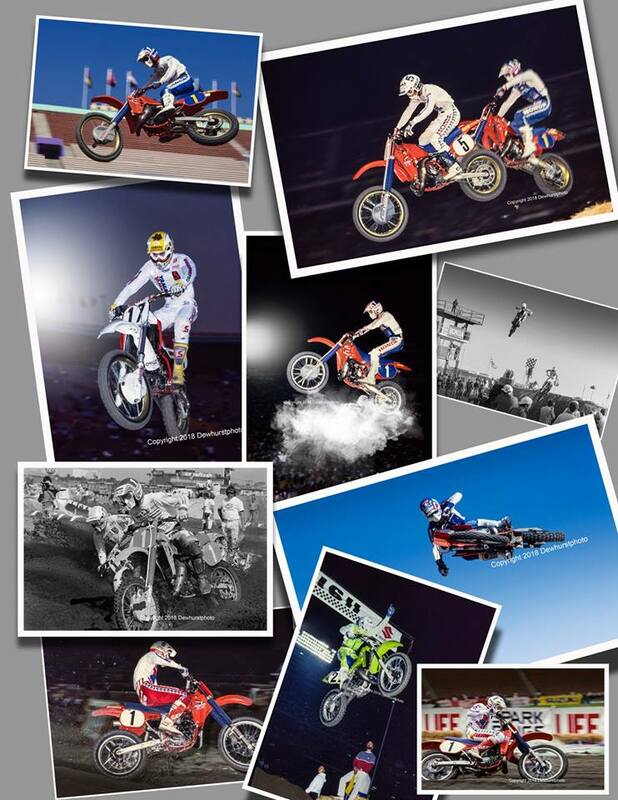 Tim Gajser and Tony Cairoli have been amazing this year!